Miley Cyrus and Liam Hemsworth were spotted leaving a date night together after visiting a private club on Tuesday in New York City. According to unconfirmed reports, the 23-year-old singer and 26-year-old ‘Independence Day: Resurgence’ actor plan to marry later this year on a beach in Australia. For her date at the member’s only Soho House in Manhattan’s Meatpacking district, Miley sported a pair of exotic Mara Hoffman slouch pants (available at Amazon), a black shirt, a denim jacket, and carried a small Oilily ‘Fairy Village’ backpack and a takeout inspired box bag from Skinnydip London. 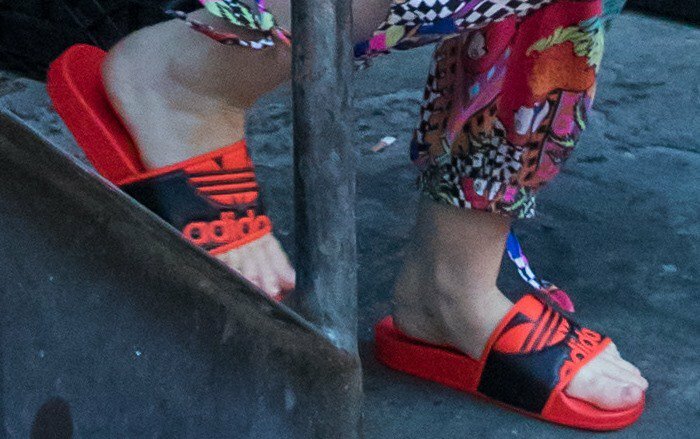 Her rather eccentric outfit was completed with a pair of orange ‘Adilette Trefoil’ slides from Adidas. Would you wear an outfit like Miley’s on a date? 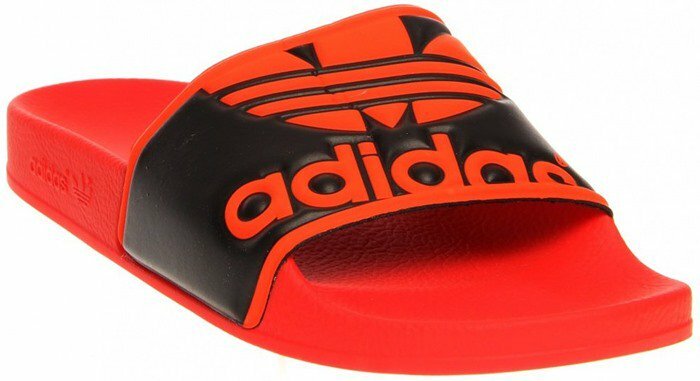 Her orange/red slides are unfortunately out of stock at Amazon.